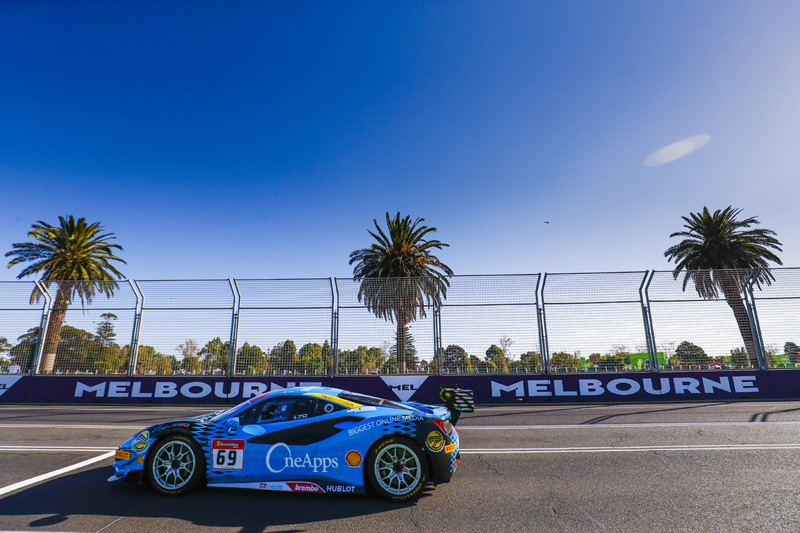 All geared up to tackle the new season, Team OneApps NAZA Aylezo says hello from the Land Down Under as they kick off their 2018 Ferrari Challenge Asia-Pacific journey with the opening round at the iconic Albert Park Grand Prix Circuit in Melbourne, Australia. And with the whole new season comes a whole new challenge as the team will be going against 26 other cars on the grid from various countries, all hunting for a spot on the podium. 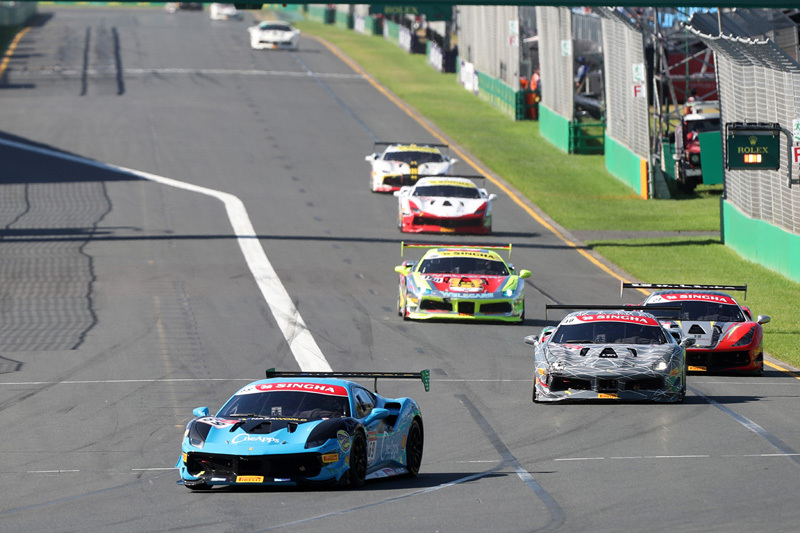 Zen Low (MAL) at Ferrari Challenge Asia Pacific, Rd1, Melbourne, Australia, 21-25 March 2018. Starting off the race weekend with the practice sessions, Zen Low made the best of the limited window to properly learn the circuit as the session was repeatedly interrupted by multiple red flags. 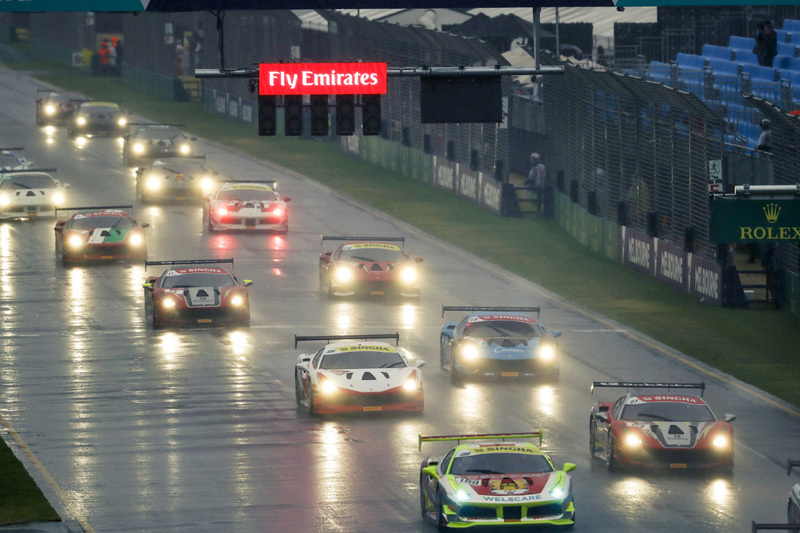 After getting some track time on the 5.303km circuit, he went for the attack during Qualifying but was presented with another challenge in the form of the traffic. Managing to get only one clear lap to set a time, he was forced to concede with a best timing of 2:02.135, placing him 14th on the grid to start Race 1 in. But the drama was far from over as in a sudden turn of events, the brilliant blue canvas that stretched across the skies of Melbourne was replaced with dark clouds, sending torrential rain all over the circuit. 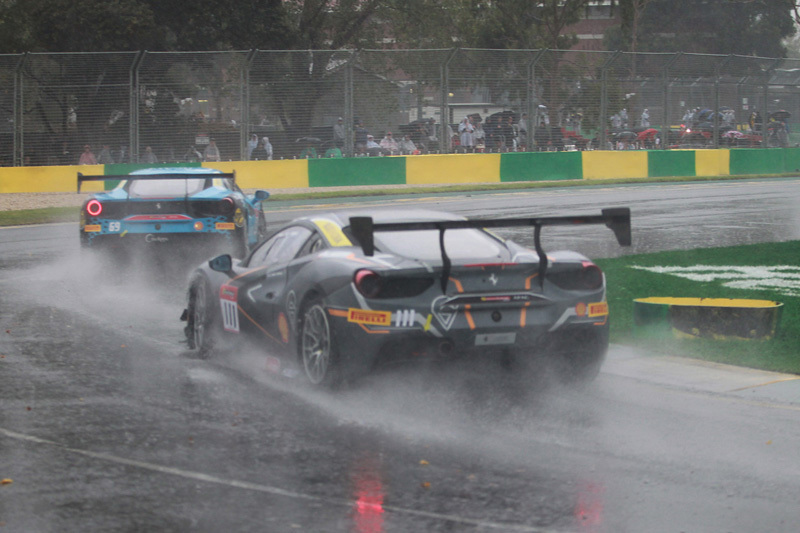 After starting the race behind the safety car for three laps, the green light was finally given and Zen went for the charge to bring a better position for the team. 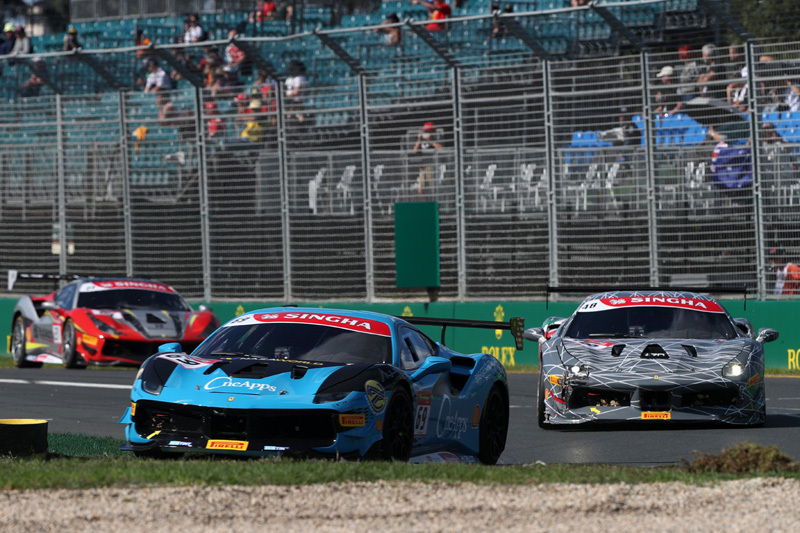 The start of the race at Ferrari Challenge Asia Pacific, Rd1, Melbourne, Australia, 21-25 March 2018. 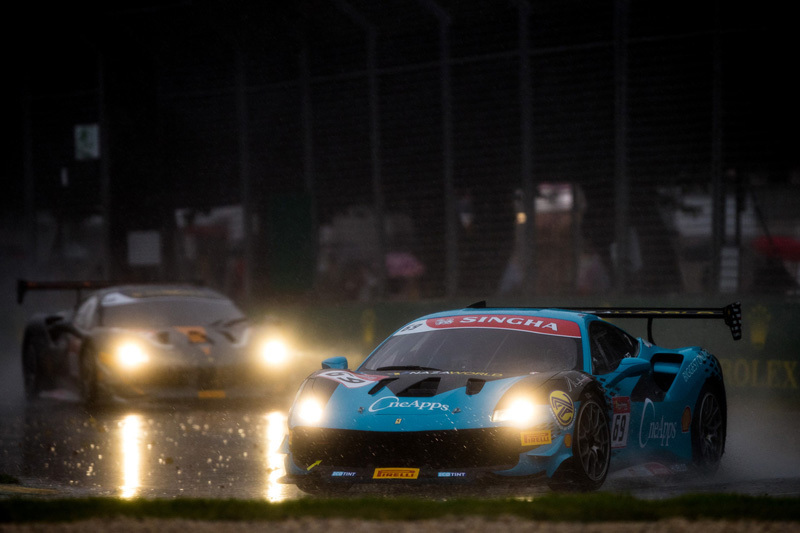 Since the rain made the conditions more treacherous, Zen took notes on the possible spots where he could push the car, but the rain changed the circuit’s condition ever so often that it had completely caught him off guard. A newly formed puddle which was not there during the earlier laps had sent Zen into an uncontrollable spin, losing two places in the process. After recovering from the spin, Zen immediately rejoined the race and kept his foot down on the gas, reclaiming the two positions he lost earlier. Unfortunately, Zen’s charge was cut short as only after four laps of racing, the safety car was deployed once again and it stayed out until the checkered flag, forcing the team to finish in 14th place overall, 10th in the Trofeo Pirelli class. 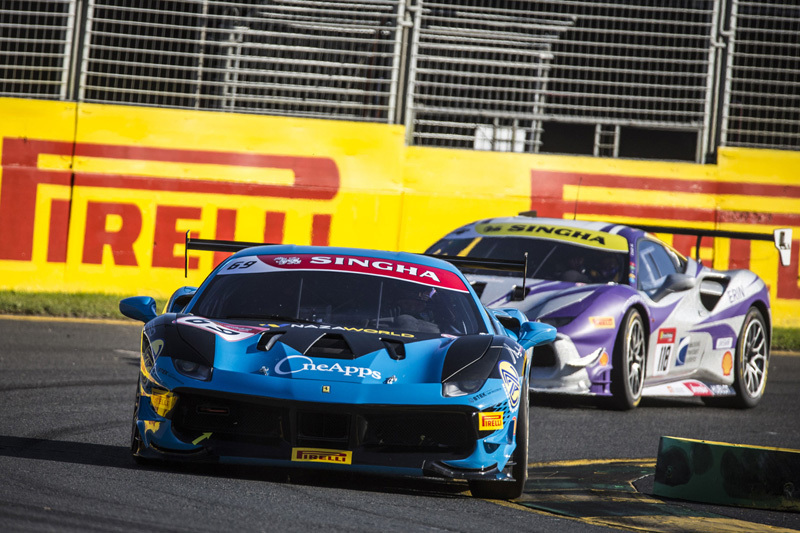 Zen Low (MAL) and Louis Colmache (ITA) Direzione Commerciale e Marketing – Head of Corse Clienti Asia Pacific Ferrari on the grid at Ferrari Challenge Asia Pacific, Rd1, Melbourne, Australia, 21-25 March 2018. Clearly not the results the team was aiming for, Zen was determined to redeem himself on Race 2. While it was going to be tough for him since the starting grid for Race 2 was determined by the finishing position in Race 1, the absence of the rain gave the team a glimmer of hope for a better race. As soon as the lights turned green, Zen saw a gap during the melee into Turn 1 and immediately seized the opportunity, instantly elevating himself into the top ten positions. 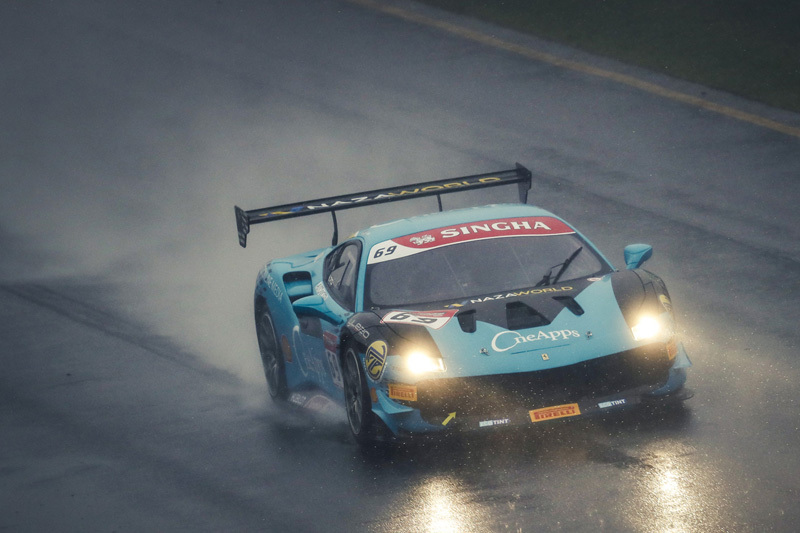 The track was still slippery due to yesterday’s downpour but Zen got full control of the 488 Challenge and even managed to take a couple more positions to bring the car up to 5th. Unfortunately, due to an incident in the earlier part of the race, an oil patch had sent Zen into a nasty slide during the final lap. Wrestling with the controls to keep the car away from the walls, he managed to regain control but lost two positions in the process. Crossing the checkered flag in 7th overall was definitely a welcomed result compared to Race 1, but the team is already looking forward in improving their performance at the next round at Hampton Downs, New Zealand on April 12-15. Team OneApps NAZA Aylezo would like to take this opportunity to extend their greatest appreciation to everyone who had helped in making this journey possible, especially OneApps, NAZA World, Automotry, Stek, Ecotint, NAZA Italia, and Ferrari Malaysia.